The fortnite game is tremendously taking over the gaming world while fortnite mobile is taking over the lives of the younger generation. The free test is growing fast creating a platform for layers to invite their friends to the game. Epic Games, the developers of the fortnite game have already sent out their first invites to the selected IOs users who can comfortably invite their friends. The fortnite game was released on July 25, 2017, and it is based on a storyline of how the earth was destroyed by a storm. The storm killed 98% of the earth’s population, leaving a smaller group on the planet and the zombie-like creatures. Fortnite has four players working together to collect resources, build safe shelters, construct weapons and build barriers around defensive objects that are to help the players during the storm and protecting the survivors. Players improve their hero character by accomplishing these missions to be rewarded and take on more difficult tasks. Most diehard players have received an email notifying them that friends’ invites are now available. 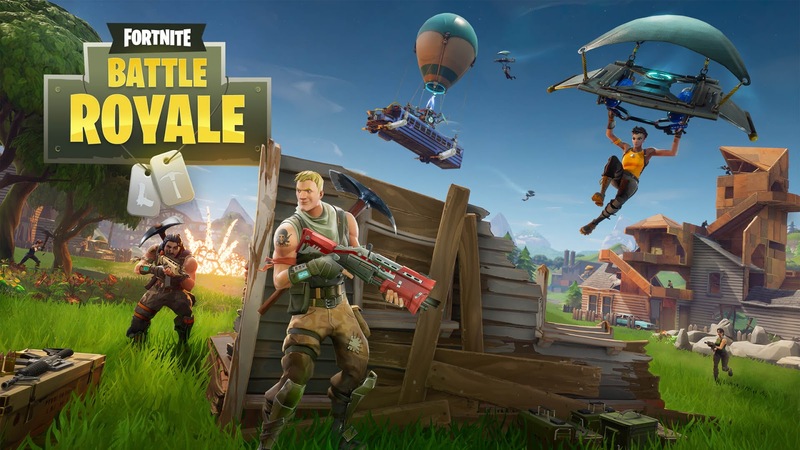 The video game was only on Xbox, PS4, Windows Pc and Mac only but they have signed up a debut page to request an invitation for the download Fortnite code on iPhone or any other android mobile phone. The fortnite free to play the game will be officially released in 2018, and this is good for the players. If one decides to pay for early access to the game to get some cool gifts before the market becomes crowded. Free perks and rare drops are mostly dished out to those players who spent earlier in the game so that they can invite their friends to the game. For those who have already bought the Limited Edition or the Super Deluxe, they must have received some friends’ fortnite codes. Adding friends usually means that we are adding people from other existing platforms to our current friend's list. One must have to be friends with the other players and form a coalition so that they can enjoy cross-platform play between a computer and a mobile phone. Click on the human silhouette button on the top right corner of the screen once you have logged into the lobby area. Click on the silhouette icon which has the plus sign (+) next to it. In case you get back the feedback from any invited friend, just click on the notification and the friend will be added. You first open the friend list as you did in the first step. Search for the desired friend by typing his or her name in the search box. Select the option with “Invite to Party” and press the key. It is difficult for a friend to accept your friend request if he or she is not in the match and therefore they will take your application after the matchmaking is done. To give the fortnite codes to your friend, one will need to access the main game menu. These codes are entirely a deal, and this is because the codes will give your friends a full standard edition of the fortnite game. The problem with this bundle is that they do not guide their players on how to use your codes to invite friends. One will be able to see the notification on “invite code” below the friends’ list button. Click on the ‘invite code’ button to confirm that you want to send out the codes to your friends. After that, click on the button next to each of the invite codes which shows the number of codes available. Select the platform in which you would like to share the links to. Links can be sent faster if you are using platforms like social media, private messages or even emails. Once your friend receives the invite code he or she should follow the showed steps to accept the invitation. Players can quickly get the whole process of inviting friends and sending out the Fortnite codes in the play stores, but we are here to make this entire process more manageable. It is important to remember that the Fortnite code will not appear until the player has opened the loot packs and has completed the tutorial in the initial stages. The game automatically opens your friend list so that you can quickly select and invite any player you want as long as he or she is in the match. Epic Games allows the players to welcome their first friends to give them a free standard version of fortnite encouraging others to join them. The fortnite free codes are still being released, and therefore it is highly likely that the option may not be available to all users of this game. This game is taking the world by storm, and it is becoming more fun and ordinary because you get to play with all your friends. Fortnite is a multiplayer game meaning that you can quickly add your friends on other platforms. Fortnite mobile is currently in beta nut Epic Games promised to deliver the full battle royal experience in the game. Those who have accepted the Fortnite codes from their friends can indeed confirm that the game will be a monster on mobile phones. The ability to cross play and cross-link for accounts when needed, using a computer is the icing on the cake. More and more codes are coming out, for example, the save the world friendly code which can be used on different platforms. Stay in touch to find out what Epic Games will be releasing next to the Fortnite players.